Happy New Year from all of us at Hudson Valley Physical Therapy! If you spend anytime on social media, you have surely noticed motivational sayings like “new year, new you”. Visit really any big box retailer and you’ll see marketing for the latest and greatest protein powders and treadmills. January 1st: the day that the world starts telling you to throw out all the holiday treats and go run 10 miles. It’s no secret that weight loss is the number one New Years Resolution and that is really a fine goal for many, but what about all those out there who have been struggling with other aspects of their health and well being? So let’s say that you’ve faced some delays healing after the birth of your child, severe pelvic pain from endometriosis, or had a prostatectomy and now have episodes of incontinence (because men do experience a wide range of pelvic floor dysfunctions too). How can you prioritize your healing and health in 2019? I promise, this blog is not about weight loss. The fuel you put in your body has a whole lot to do with how you feel. Seems pretty obvious right? But I argue that the fuel you put in your body has an amplified effect when you are managing pelvic health. Seemingly healthy foods like eggplant can cause flare ups of pelvic pain, apple cider vinegar can provoke bladder pain, and your beloved morning cup of coffee can be triggering your urinary symptoms (Drummond, J., 2018). Collagen synthesis becomes very important when it comes to improving the composition of the abdominal wall in a condition like diastasis recti. Increasing vitamin C intake has been shown to increase type I collagen synthesis (DePhillipo et. al, 2018). 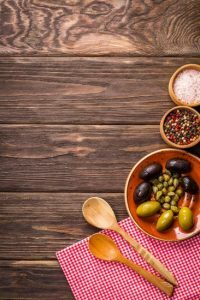 I’m no nutritionist, but it’s important to know that nutrition is a major player when it comes to pelvic health. Everyone processes food differently so find what works for you. I recommend looking into Jessica Drummond’s work at the Integrative women’s health institute http://integrativewomenshealthinstitute.com/ or research nutritionists specialized in food sensitivities in your area. As a yoga teacher, of course yoga makes the list. Breath is central to any movement done in yoga. The yogic breath makes use of the large diaphragm muscle. The diaphragm works in conjunction with the pelvic floor. As you inhale, the diaphragm lowers and the pelvic floor relaxes. With every exhale, the diaphragm and the pelvic floor lift. Now imagine that you’re just using the small upper chest muscles to breathe; the pelvic floor isn’t moving anymore. If you stop moving other muscles in your body, they tighten up. The pelvic floor muscles do the same. In addition, the diaphragmatic breath taps into the parasympathetic nervous system. This is the part of the autonomic nervous system that you want to access to initiate better relaxation. Whether you want to build strength or promote relaxation and flexibility, there are so many styles out there to explore. Don’t know where to start with yoga? 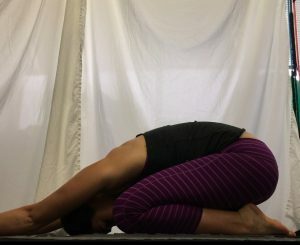 Try these 3 simple restorative yoga poses for the new year: https://www.youtube.com/watch?v=PC8uKCiVGzY&t=5s, or visit https://yourpaceyoga.com/ for yoga programs and resources specifically designed for pelvic health. There are a variety of practitioners out there who all have some special skill set to contribute. Here are just a few of the practitioners out there. Pelvic floor physical therapists, like all the PTs at Hudson Valley PT, complete continuing education specific to the treatment of pelvic floor dysfunction. Pelvic Floor Physical Therapists are experts on the muscles that provide support to the pelvic organs, make up the sphincters, play a role in sexual function, stabilize the core, and help keep the internal fluid/pressure systems in balance. These muscles are called the muscles of the pelvic floor. Pelvic floor physical therapists see a variety of patients both male and female experiencing anything from low back pain, to incontinence, to prehab before childbirth. The easiest way to find a trained pelvic PT in your area is to visit https://pelvicrehab.com/?utm_source=hwdotcom&utm_medium=mainmenu or https://ptl.womenshealthapta.org/#s=1 and use the search tool. Gynecologists, urologists, gastroenterologists etc. are extremely knowledgeable, but pelvic health can oftentimes be very complicated. Special tests may be involved and sometimes unfamiliar diagnoses. That’s where pelvic pain specialists come in. Visit our resources page http://hudsonvalleypt.com/resources/ for information on pelvic health specialists in the NYC metro area. 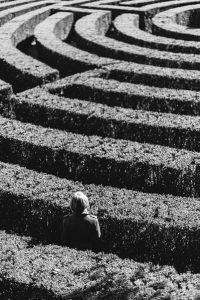 A naturopathic doctor attends a 4 year post graduate program where they learn the basic sciences similar to an MD program but study more holistic approaches to medicine. There is an emphasis on promoting an individual’s self healing capabilities. Their education also includes counseling, clinical nutrition, and homeopathic medicine. 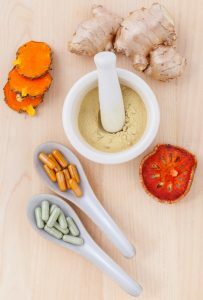 For more information on naturopathic doctors visit https://www.naturopathic.org/medicine. According to the NYS office of the professions “An acupuncturist is a licensed healthcare professional who, based on the concepts of oriental medicine, maintains the health of patients and evaluates and treats their illness and pain.” We have many patients who find that acupuncture is a great adjunct to help manage their symptoms. Look for registered/ certified dietitians. These are licensed individuals who are experts in the science behind nutrition and can help you optimize your diet for wellness and healing. For more information visit https://www.eatrightpro.org/about-us/what-is-an-rdn-and-dtr/rdn-and-ndtr-overview. Half of January has already sped by. Make it a priority this New Year to prioritize your healing and health. Drummond, J. (2018). Nutrition for Relieving Pelvic Pain: Fueling the Patient and Practitioner Healing Partnership. Bookbaby.